You can do some simple steps to end depression selfishness. However, do not skip the very important treatments designed to end depression. Interrupt The Selfish Self Talk. Make it part of your depression help mindfulness. Recognize the ruminating and negative self talk that often involves selfish thoughts. Saying to yourself, "I am having selfish thoughts." "My brain is misfiring." This type of self talk can interrupt the negative spinning and ruminating caused by depression. Seek the truth about your self talk. Ask yourself, "what's an objective reason for what happened? What would I advice my close friend in this situation? Change Your Perspective. Take your situation in perspective. Remember that others may wish they only had the problems we have. There are other people in the world who don't have basic needs. Many are suffering through war, hunger, violence and more. To help end depression selfishness, it helps to be grateful for the small things that are going well in your life. Count your blessings and use your depression help thankfulness journal. Give yourself a good dose of thankfulness for what you have. Do Something For The Needy. This can mean anything. And to anybody. As long as we focus outwardly. Many people in this world need help. Our help. Even in the simplest ways, such as a generous gesture. Give them a call or a visit just to say hello, and that you are there for them. We normally can define the needy as, the poor, the elderly, or the homeless. However, our own family also qualifies. Our children certainly do qualify. They need to be protected and be fed, as well as our guidance and emotional support. Our spouse needs our love! If single, our parents, siblings, and other family and friends need our love and support as well. Compliment Someone. Compliment the first person you see. In your house, on the street, the cashier at the store, your friend or neighbor. Anybody and everybody. 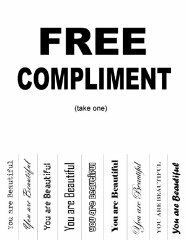 Compliments help you find positive things in life and works wonders to end depression selfishness. This also helps you pry yourself from... "yourself," and focuses on discovering somebody else's positive attributes. Focus On Their Story. Have you ever noticed in conversations, people tend to share stories, and they are outdoing one another? When someone tells you a story about an event in their life, let them have their moment of glory. Catch yourself before you share your own version of a similar event. Instead, Ask more questions, and let them expand upon the subject. Be genuinely interested and excited about their story. Consider Others First. Are you having trouble with your spouse, co-worker, or neighbor? Consider their thoughts and feelings before yours. They may need an apology from you too. But they are too ashamed, or their ego's may be in the way to say so. So be the first to give a sincere apology. With nothing expected in return! I know this is a tough pill to swallow, but it is rewarding to go through the trouble. This enhances your depression help efforts. Try to understand others' point of view. Put yourself in their shoes. One of the wonderful habits taught in Stephen Covey's book "The Seven Habits of Highly Effective People" is to seek to understand before being understood. This bit of advice changed my outlook in life and in my depression. It brought me many unexpected successes in my personal relationships and my career. Only after understanding, seek to be understood. Once the other person is completely satisfied that they are understood, then they will be open to hear your perspective. Share your perspective, and believes in a respectful and sincere manner. Work together on the issue helps all parties feel part of the solution. Often a synergized solution is better than any one person having or forcing a solution on the other. Develop Your Emotional Intelligence. Emotional intelligence is our ability to be aware of our "self" and how we manage ourselves. To end depression selfishness we should develop the ability to be aware of the needs and emotions of others and how we manage ourselves with those relationships. So there you have it. Some wonderful depression help advice on how to end depression selfishness. Live well, be happy, and follow our natural treatments for depression.